i hope the next firmware will be better this current alot of bugs cannot be we buy Ac5300 signal worst then ac3200.. 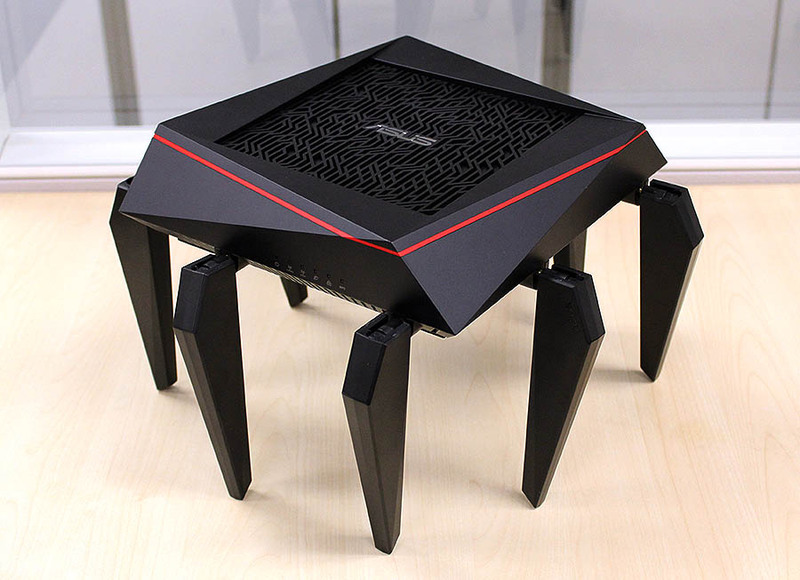 I hope the next firmware we will unlock this router potential i believe this machine works better and better signal then currently we all facing..
hi asus@sg for this issit firmware problem or manufacturing defects problem on weak 5g signal? This is UI issue and this have been fixed in the next firmware. Last edited by guards80; 03-12-2015 at 09:54 PM..
Can take photo of your router? how you place it? The signal stronger by 10x! Add 1 set of eyes and it really looks like a big, cute spider. going Daiso buy the eyes NAO! Take a pic n share hor. Guys can anyone help me. I wanted to by pass the company port blocking so i change my download manager access port to 8443. then now, i cant even access the download manager at all. tried to do reset and reformat the hard disk. doesnt help at all. how?? Why don't use VPN back to your home network.? VPN isnt working on my router (IDK why) and i already built a VPN using my Linux server. Anyway, the whole download server is down/disappear/not accessible. How do i get it back up again? Can fill us with more details? Sorry. i mean download master XD. ISP is Starhub Fiber. i doubt ISP is the one that cause the issue. Hello! My household currently has ~12 devices connected to the router via WiFi. As such, what would be the recommended router for my type of household - the AC5300 OR AC88U? Would like a router that's a more futureproof solution as well. Thanks! P.s - I also read the article on Hardwarezone whereby there's only 1 LED for all the LAN ports on the 5300. Would this pose a problem for trouble shooting if I only have 1 desktop that's connected via LAN? what 12 devices you using? are they 2.4Ghz only devices (aka older device); 5Ghz (but lower speed) and 5Ghz capable of high speed? 1. You can choose to turn off Smart Connect, and manually assign your devices to the 3 SSID bands: 2.4Ghz; 5Ghz-1 (lower frequency range); 5Ghz-2 (top speed). 2. You can also choose to turn on Smart Connect to let the AC5300 decide, but warning, the Smart Connect is still not that Smart. Also, you need to wait for next firmware release. 3. I don't see 1 LAN LED having a big issue. You can isolate the equipment 1 by 1 for troubleshooting (max 4). If you have only 1 desktop connected, then surely no issue. You can 'see' the connection details from the desktop OS. AC88U is a dual band. So if you have a lot of 5Ghz devices, they share the same and only 5Ghz channel. Last edited by SimonLam; 06-12-2015 at 01:34 PM.. Waiting for next firmware for improvement. May I know why do you need the bridge for? The AC5300 cannot gives 700 up and 400 down on wired connection?